Israel is no longer a member of the United Nations Educational, Scientific and Cultural Organization, or UNESCO. The U.N. agency has been subject to criticism of anti-Israel bias and distortion of historical sites such as Jewish ties to the Western Wall and Temple Mount. In September, Israel declined to partake in UNESCO’s conference on anti-Semitism “due to the organization’s persistent and egregious bias against Israel,” said Israeli Prime Minister Benjamin Netanyahu. The United States is also expected to leave UNESCO. The State Department did not return a request for comment. Israel notified the UN culture watchdog in December 2017 that it would leave the organization because of its anti-Israel “biased, one-sided and absurd attitude” surrounding several clashes earlier in the year: In July, the organization’s World Heritage Council accepted a Palestinian request to list the Old City of Hebron, including the Cave of the Patriarchs, as a “Palestinian” world heritage site. The same month, the Council referred to Israel as “the occupying power” in the Old City of Jerusalem. Last June, Israel’s ambassador to UNESCO said Jerusalem could reconsider the decision depending on the outcomes of the World Heritage Committee session meeting in Manama, Bahrain, in which Israel participated. The presence of Israel at the session in Bahrain evoked strong public scrutiny as the two countries do not have formal diplomatic relations although the two sides are believed to have maintained secret contacts in recent years. 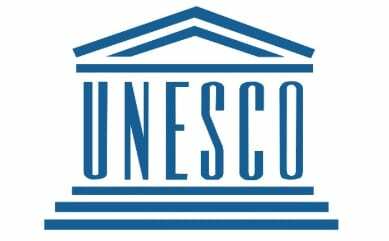 UNESCO should change its name to; the, United Nations Recreation of Reality to Delegitimise Israel Organization.